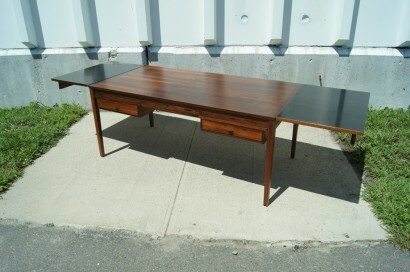 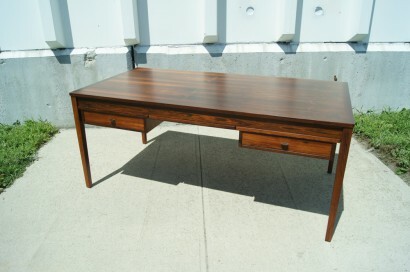 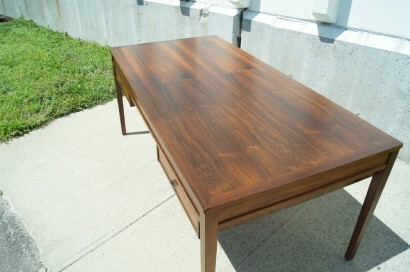 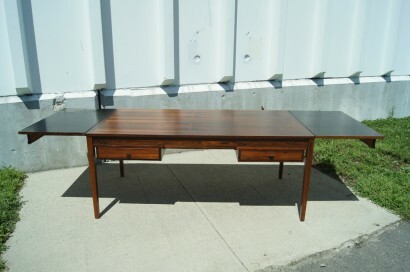 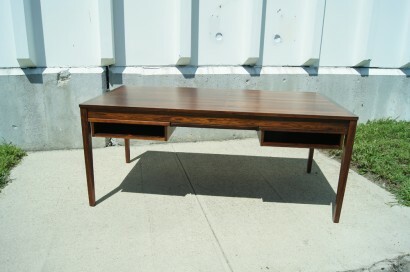 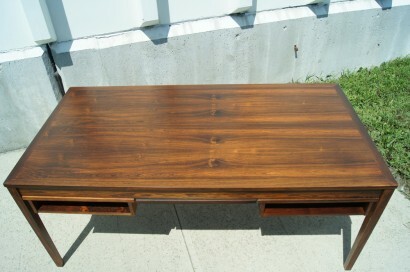 This large desk features a large top in beautiful rosewood grain atop gently tapered legs. 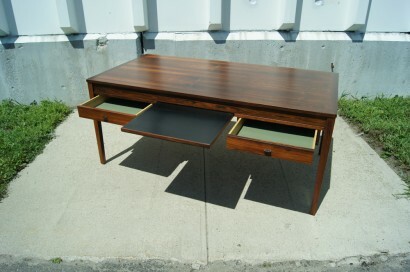 It has two drawers with leather drawer pulls and open storage space on the opposite site. 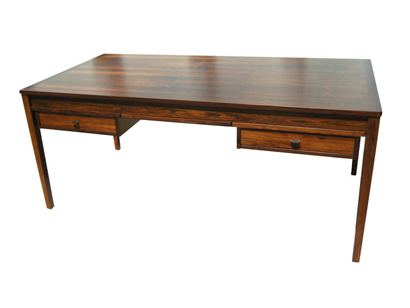 The desk includes two extension leaves that each measure 20.75″, making this an excellent option for those seeking abundant work surface area.